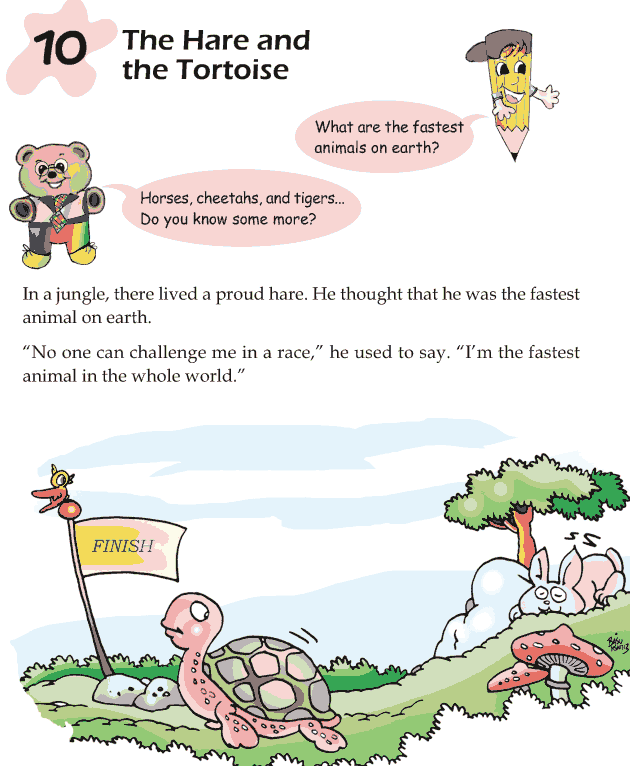 A hare and a tortoise take part in a race. A hare is many times faster than a tortoise. But will he win the race? Most probably yes, but we will find that out only after reading this beautiful story.